The ponies from My Little Pony: Friendship is Magic help you wake up in the morning! This My Little Pony Friendship is Magic 14 oz. 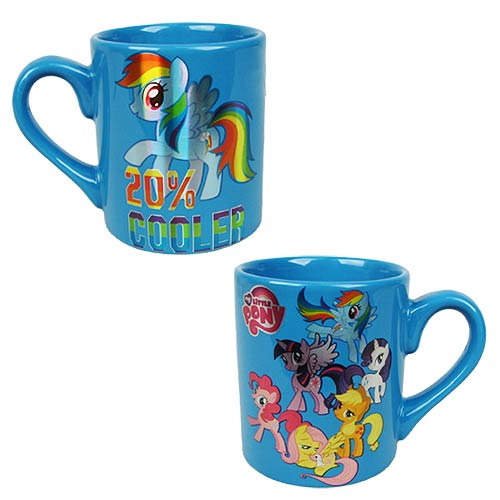 Ceramic Laser Print Mug features a fun image of the pony friends, Rainbow Dash, Pinkie Pie, Twilight Sparkle, Apple Jack, Rarity, and Fluttershy. Ceramic mug holds up to 14 ounces of liquid. Hand wash only. Not dishwasher safe. Do not microwave. Ages 14 and up.